When you choose a builder for your bike, consider their experience with the type of bike you plan to order. Well, it turned out harder than anticipated. Simply cutting a few feet out of the center and off the back of a typical 1960s American car did not result in a product that could compete with the best European cars, which drew on decades of experience. The Japanese were more diligent and analyzed (some say: copied) the competition before making their own entry into the market. Even so, it took them decades until they were among the best in the world. Fitting wide tires without resorting to wide mountain bike cranks requires careful optimization of all clearances. To obtain a graceful fenderline and rattle-free attachment, the bridges should be spaced with precision. Front racks should be triangulated to provide a stiff support for the load. The bike’s geometry should be adjusted for the load and wide tires. Selecting components that work together seamlessly is harder for randonneur bikes than for racing bikes. For racing bikes, there are many component “gruppos” designed to work together seamlessly. There are no “gruppos” for randonneur bikes. None of it is rocket science, whether making a compact car or a randonneur bike. Today, American car companies build small cars that compete with the best in the world. Similarly, many framebuilders have made the step toward becoming a constructeur, and build fully integrated bikes that are among the best ever made. Others have returned to making the racing bikes that they know well and feel passionate about. As the editor of Bicycle Quarterly, I often hear of somebody in love with a certain framebuilder, but planning to order a full randonneur bike. Or they want to work with a local builder, but don’t live near an experienced constructeur of randonneur bikes. Placing an order for a custom bike means buying a product, sight-unseen. I would not have ordered Detroit’s first compact cars without a test drive. Similarly, I would make sure that a builder has experience with the type of bike I want to order. In the ‘minor quibble’ department: American compact (even micro!) cars were sold at least as far back as right after WWII. Check out the Crosley Hotshot, for one. There were many others. The Nash Metropolitan of the 1950s comes to mind as well, then the Rambler. I get your point, though, and agree. As you point out, small American cars have existed since the earliest days of the American automobile. However, from the 1950s until the 1970s, there wasn’t a continuous program of development. Every generation of American “compact” cars started from scratch. The Nash Metropolitan, by the way, was made in Britain, but to an American design, and it hardly was a world-beating small car. Yes, I’m aware of all that you mention. I woudn’t say ‘earliest days’ however, maybe fifty years later, though. Post-War (II). I worked for AMC right after obtaining my Engineering degree, so I’m familiar with their history in particular. Quite extensive, actually, and it goes back to the Jeffries Motor Company and about 1903 or thereabouts. 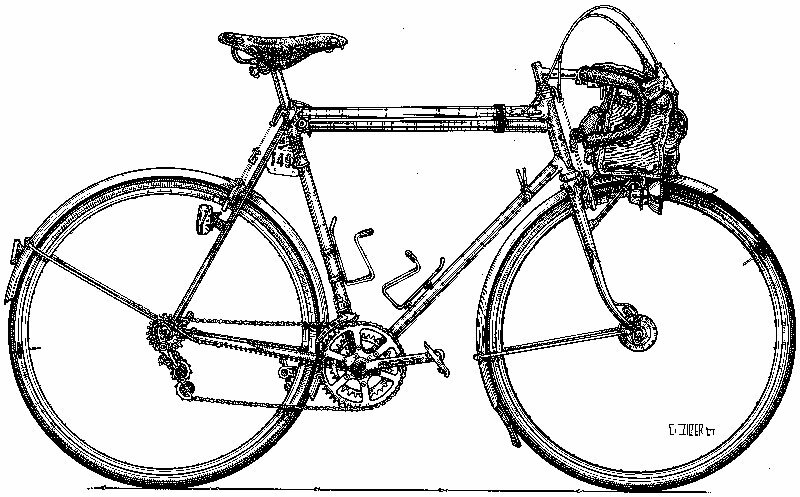 The Jeffries Motor Company came from their bicycle company. One of their best-selling bicycle models was the Rambler! – The builder is an excellent builder who will not cater to a customer’s every whim. He makes no pretense of specializing in fully-integrated randonneuring bikes. Nevertheless, several of his bikes have been ridden to PBP finishes by satisfied customers. I think that, in retrospect, most would agree that the rack shown was less than optimal. The stays form a parallelogram, which means that under load, the only thing that keeps the rack from moving downward and forward is the stiffness of the rack tubes, rather than the triangulation of the rack design. This means that a), the tubes must be relatively large (and heavy) and b) that the rack cannot carry a significant load. This rack was just one of many, but it exemplified the “add a rack to a racing bike” approach very well. I did not name the builder (and edited the name out of your comment), because he went back to making racing bikes, an area where he has an excellent reputation. I am sure there are those who defend the AMC Gremlin as one of the best cars ever made, too, but most are glad that these poorly thought-out designs (both in the car and in the bike world) largely are things of the past. Who perpetrated that “ToiletRack”? I’d hope that it was purposely whimsical, but the 7 (!) accessory braze-ons suggest otherwise. Yes, the door lengths were different left/right on the Pacer! The big problem with that car (well, besides looks only a mother could love) was that it was designed for a Wankel rotary engine, but had to be modified to use the standard Corporate inline-six when the Wankel deal fell through, which took gobs of space away from the interior by shoving everything else rearwards (the outer body skin design was fixed, by then, and couldn’t be changed). We were still making the Eagle 4×4 wagon, in Brampton, Ontario, when I worked for AMC. The build rate was a crazy-low 25 or so per day, but they made a profit on them, so they continued to make them until they ran out of major parts (or customers?) eventually, I presume. Never have I read better advice when it comes to picking a builder for one custom bicycle . I’ve ridden a ‘ Performance Tourer ‘ built by a Master race bike builder friend as well as a couple of Race Bikes built by Touring Bike masters and both left me wanting . The ‘ performance ‘ tourer being too finicky and unstable on the rough pavement loaded : with the Race Bike having been built by the ‘ Touring ‘ builder feeling sluggish and soft when the pedals were stomped on or the downhill corners taken at speed . 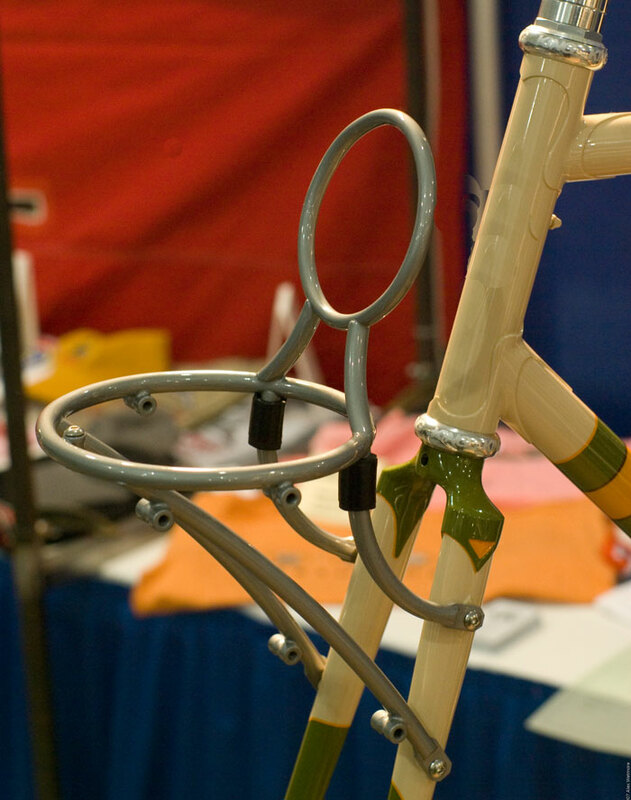 I suppose there must be a few All Around custom bicycle builders out there , but to date I’ve yet to run into one //……. // As to the Pacer/Gremlin/Eagle conversation ……… the Eagle 4×4 . Dropping that car from the lineup was amongst the dumbest things AMC ever did : exemplifying the kind of thinking that brought about their demise . I’ll also chime in that yes the early attempts at making an Economical and efficient automobile by the Big Three + 1 were at best …. abysmal . Sadly though they’ve learned next to nothing over the decades and are still far behind the Japanese/Euros and now the Koreans technologically and quality wise . AMC dropped the Eagle because customers stopped buying enough of them. Like I said, when I was there (1984/1985) we only built about 25-30 per day, and that satisfied North American demand. Most vehicle assembly lines run at 30-60 units per HOUR. AMC, in Kenosha, Wisconsin, was certainly a very interesting place to work during that period of time. I made trips to France back then, due to the Renault connection. We were building the R9/R11 models (Alliance/Encore were their model names in theUSA), which were, well, not the finest products out there at the time, shall we say. But the assembly-line jobs paid well (about double what I was paid, as a degreed Engineer with student loans to pay). One forklift driver drove a DeLorean, and another drove a new Mercedes SL convertible! Thank you, Greg. I appreciate your background history on AMC. I have to say, though, that I actually have more respect for AMC now: they were willing to experiment and try new things!